When considering personal insurances, often you may first think about protecting your household financially from unexpected events (e.g. a passing, sickness or injury) that may occur to yourself; however, unfortunately unexpected events can also happen to your loved ones, which can have a similar result in terms of the financial impact on your household. Due to this, in our animation, “Personal insurance for families”, we touch on the concept of cross insurance, namely, insuring both heads of the household whether they be dual income earners or a sole income earner and a non-working spouse. Do you have the adequate resources available to pay for any immediate and ongoing medical treatment, or home and/or care modifications that your child may require? How would you cope financially if you or your spouse needed to stop work to care for your child either on a temporary or long-term basis? Some insurers offer a unique type of personal insurance that is specifically tailored to cover your child. This type of personal insurance is called the Child Trauma Benefit and can come as either an in-built inclusion or an optional extra (with its own insurance premium payable) to your Trauma insurance policy. The Child Trauma Benefit provides a lump sum payment to you if your child was to pass away or suffer a specified medical event. Depending on the insurer, and whether the Child Trauma Benefit is an in-built inclusion or optional extra, the lump sum payment amount can be either fixed (e.g. $10,000) or an amount specified by you upon application (e.g. up to a maximum sum insured, such as $200,000). 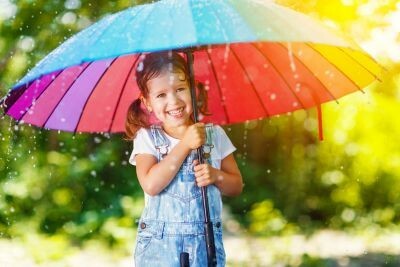 Furthermore, in the event that the Child Trauma Benefit is an optional extra, and the amount specified as the sum insured reaches a certain threshold, you may find that underwriting is required. When it comes to the Child Trauma Benefit, there are several important considerations. Although these may vary between insurers, listed below are few (although not a comprehensive list). Is only available to your child if they are within a specified eligibility age bracket. For example, between 2 and 15 years. Has a cease date that often refers to a period just after the upper limit of the specified eligibility age bracket has been reached. In addition, this can also occur if the relevant Trauma insurance policy that holds the Child Trauma Benefit ceases. Has the capacity to be converted to an ordinary Trauma insurance policy for the child just prior to them reaching the policy cease date related to the upper limit of the specified eligibility age bracket. In this circumstance, the policy becomes their own; however, depending on the sum insured, underwriting may apply. You may find that you are able to increase the sum insured by a predefined amount (up to a maximum limit) upon certain milestones being reached, such as the child’s 6th, 10th and 14th birthday, without an assessment of your child’s health. The medical event is caused by a congenital or pre-existing condition, an intentional self-inflicted injury, or attempted suicide. The medical event arises within three months of the commencement of the insurance policy. Depending on the medical event that arises (e.g. type and severity), you may find that a partial or full payment is made under the Child Trauma Benefit. We may not like to consider the thought of our child unexpectedly passing away, or suffering a serious sickness or injury; however, unfortunately it can happen. As such, in the event of an unexpected event, the Child Trauma Benefit aims to help ease the financial stress that may occur to you and your household during this distressing time. Although in this article we have provided a general overview, the Child Trauma Benefit can vary considerably among insurers. Consequently, it’s important to seek professional advice and read the relevant Product Disclosure Statement. If you would like to know more about the Child Trauma Benefit, please do not hesitate to book a time to have a chat with us.